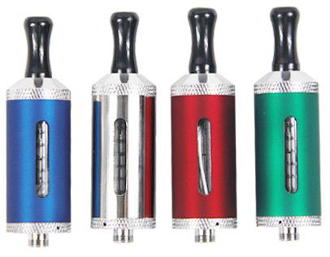 These Clearomizers are an updated version of our tried and true ViVi Nova tank system. It looks and functions just like the ViVi Nova. Clouds of vapor, 3ml tank and replaceable wicks; with the added bonus of a brightly colored metal shell that looks great and helps keep your clearomizer safer from drops and other mishaps while you're vaping.